© Timeout Sailing 2016. All Rights Reserved. 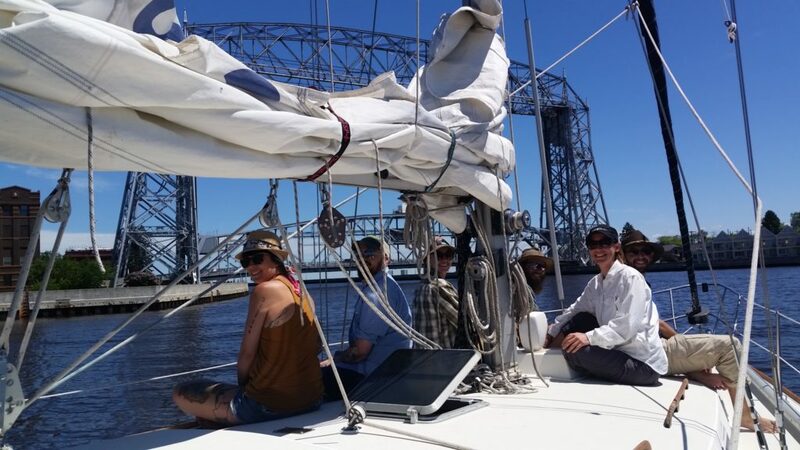 Experience a beautiful Duluth Sailing adventure on your unforgettable Lake Superior vacation. 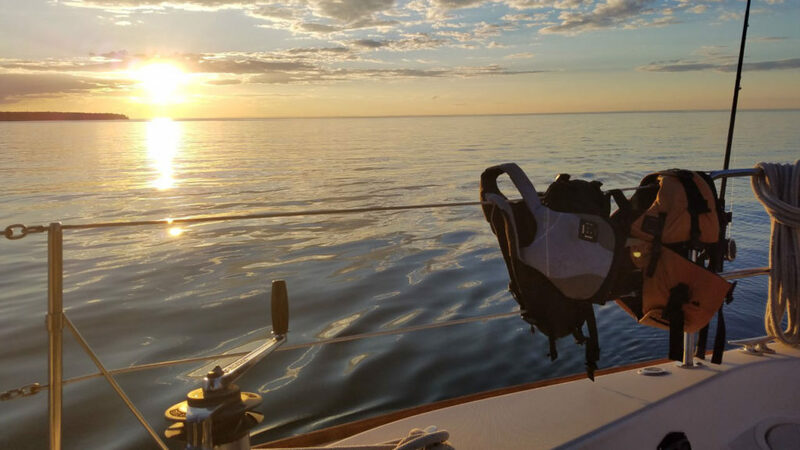 Immerse yourself in the legendary beauty of Lake Superior with our chartered Duluth sailing excursions. 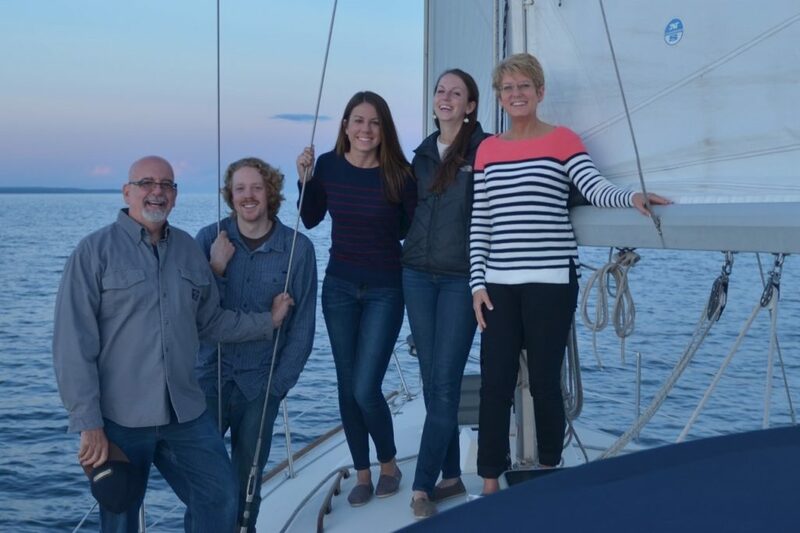 Our Lake Superior sailing adventures are designed to create memories that last a lifetime. Feel free to lend a hand raising sails, have a turn at the helm, raise the Aerial Lift Bridge, or just sit back and enjoy the ride. Time Out Sailing operates out of LakeHead Boat Basin on Park Point, just across the Aerial Lift Bridge, a short distance from Canal Park in Duluth, Minnesota. Our excursions explore Lake Superior and the St. Louis Bay Harbor, the world’s most inland port. We are the only local sailboat charter to offer multi-night adventures. 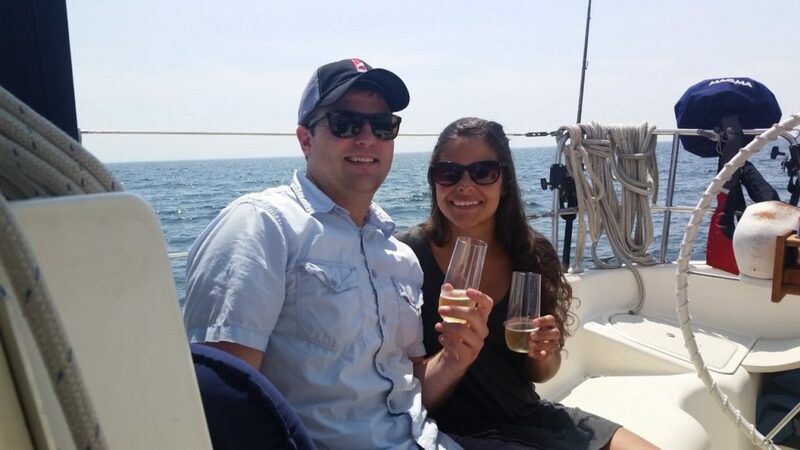 For private sailing trips, every aspect of your adventure can be personalized with Captain Jake- please let us know how we can accommodate your special occasions and requests! Our vessel is equipped with current navigation equipment which allows us to sail in all types of weather conditions. Our Captains are all fully certified through United States Coast Guard. On Time Out, your safety is our top priority. Discover the landmarks of Duluth’s historic waterfront or head offshore on the tall water and sail alongside Great Lakes freighters and ocean going ‘Salties’. We are looking forward to taking you on “Time Out” on Lake Superior! There’s a lot to see just outside Duluth’s Harbor – Head out under the Aerial Lift Bridge and explore the North Shore’s landscape and history. Cruise the world’s longest freshwater beach, travel past the Superior Entry lighthouse, or complete your circumnavigation “around the horn” of Minnesota’s Park Point through the St. Louis Harbor. Customized meals from local favorite Lake Avenue Café are available upon booking! Why limit your time on the water when there’s so much to see? Whether you anchor for lunch off a sandy beach and take the paddle boards for a spin, cruise a distance up the North Shore, explore the open water, or drop a line for fishing, your day on Lake Superior will be as unique and exciting as you’d like. We will provide an appetizer. Water and soft drinks will be available onboard. Looking for a relaxing way to cap off a great day and ease into a worry-free evening on Lake Superior? 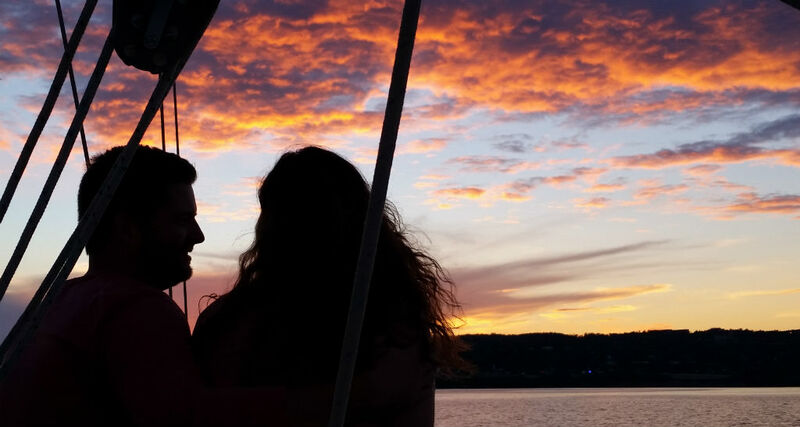 Our sunset sailboat tours allow you to explore the Lake during it’s most romantic hours, as the sun fades behind Duluth and the twinkling city lights guide you back to the harbor. Dessert will be provided by the esteemed Lake Avenue Cafe, and you are welcome to bring your favorite cruising beverages. Let Lake Superior rock you to sleep and experience unparalleled sunsets and sunrises. Spend two days sailing and stay the evening in a safe harbor tied to a dock, pier or wharf. A calm Lake Superior evening may allow you to drop anchor and stay the night off the beach. Breakfast and coffee will be served in the morning. 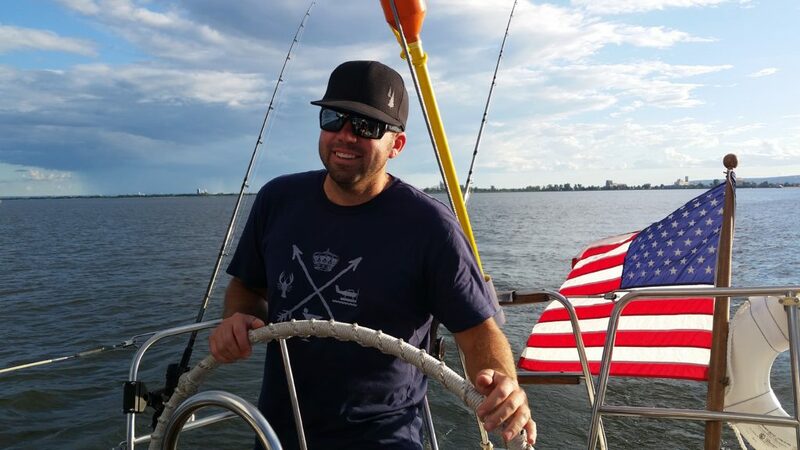 Contact Captain Jake with any questions and to customize your adventure. Please book this trip in advance, as we require extra time to arrange your personalized getaway! Know someone who would love to go sailing on Lake Superior? Have a gift-worthy occasion coming up for someone you love? Let us help you get them out onto the lake on one of our charter tours. Our gift cards are available in a variety of amounts and can be used toward any of our tours. We can assure you they’ll enjoy every moment while sailing with us! 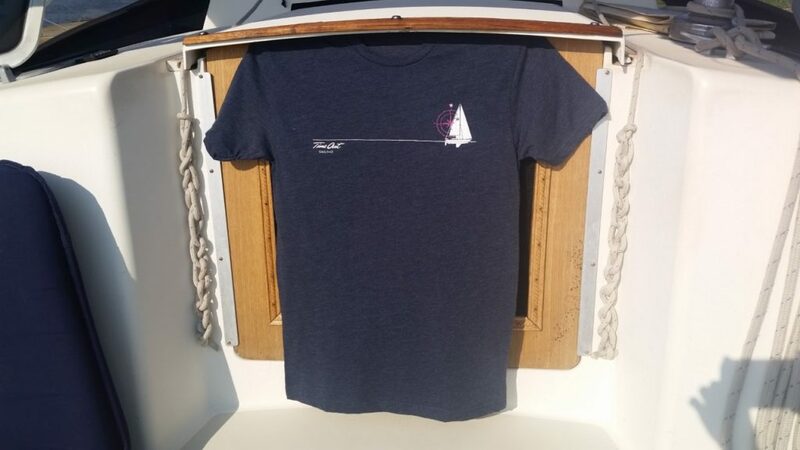 Time Out Sailing T-Shirts are available online! If you forgot to purchase a shirt on your tour, order here and we’ll ship it to you. Women’s and men’s sizes available. Curious about what a sail trip with Time Out Sailing is like? Explore our gallery of photos from a variety of trips and tours on Lake Superior. If you have something special in mind, let us know. Proposal, birthday, honeymoon, mini moon, corporate opportunities, anniversary, wedding, graduation pictures; you name it, we’d love to be a part of it. Interested in a more romantic experience, book a private charter. You will have the boat all to yourselves for your selected tour. Call and speak to our captain if you’d like to customize your personal experience. If you’d like to bring your favorite furry friend along sailing, you can! We allow our guests pets to accompany them when they book a private sail tour. Please feel free to contact Captain Jake about what you envision your day or overnight to be. As long as the weather cooperates we will do our best to create the adventure of a lifetime on the big lake. Cancellation must be made prior to 48 hours to your departure. You are always welcome to apply your full payment toward another trip or request a refund. There will be no refund within 48 hours. Due to the seasonal nature of Lake Superior, weather can affect our operations. If unpleasant weather causes a cancellation, you will be rescheduled or you will receive a full refund. Safety is determined by the Captain within 30 minutes of the sail departure time. We ask you to meet your captain at the dock 20 minutes prior to your scheduled departure time for a safety briefing and weather forecast discussion. Waves, wind, and weather all play a factor for each tour. This will be reviewed by your Captain to plan your course. We want you to be prepared for all conditions Lake Superior and Mother Nature send our way. Please avoid black soled shoes as they mark the boat. Bring non marking shoes, white soles, or your bare feet! Sunscreen: Excess sunscreen on your hands discolors the vessel and creates slippery surfaces. Please wipe hands dry after application. Early & Late Season: Sweatshirt, winter jacket, windbreaker, hat and gloves. Mid Summer Layers: Once the sun goes down be prepared with warm layers and/or a jacket. Fishing License with Lake Superior Trout stamp (required) for private excursions only – During calm seas, we would love for you to put out a line and take home a fresh Lake Superior Trout or Salmon! Rods and appropriate tackle available on board. *Get your license online here. Alcohol is welcome for casual enjoyment. We ask you to avoid red wine as this stains the boat. Please remember to bring your favorite cruising meals, snacks, and beverages to enjoy in the cockpit. Personal Flotation Devices are aboard for adults and children. To ensure proper sizing for children, please call Kelly to discuss age and size of child. As a life long resident of Duluth, I thought I had tried everything Duluth had to offer. That is, until I experienced the serene beauty of Duluth's shoreline from my "Time Out" sailing adventure. It was fabulous! And I was like a little kid again when Captain Jake let me take the wheel while we sailed under the famous Duluth Ariel Lift Bridge with hundreds of "fans" waving at us as we passed through the boat canal. I was in 7th heaven! Gracious hosts with immense knowledge of Lake Superior. Their years of experience is obvious as they always seem to know the best place to go depending on the conditions. Each day was a new adventure with beautiful islands and deserted beaches to choose from for our next destination. Jake and Kelly sail the boat with skill and ease, never missing a chance to share the history of places you cruise by. They happily handed over the wheel and ropes to allow us the full experience of sailing. Our trip withTime Out will never be forgotten and we hope to return for another trip soon. Sailing with Time Out is a wonderful experience. We sailed the Apostle Islands with them and had an unforgettable time. They are very knowledgeable, down to earth and were so accommodating, ensuring that we were able to see and explore all the wonderful things Lake Superior has to offer. If unpleasant weather causes a cancellation, you will either be rescheduled or you will receive a full refund.